a wise mama once told us this, and we couldn't agree more.... but does it really have to? why is self-care only a thing for the privileged few? and why does it have to be filed under the "mom guilt" category of indulgence? we want to debunk the notion and description of self care as we believe it's so much more than fancy facials and pricey getaways. 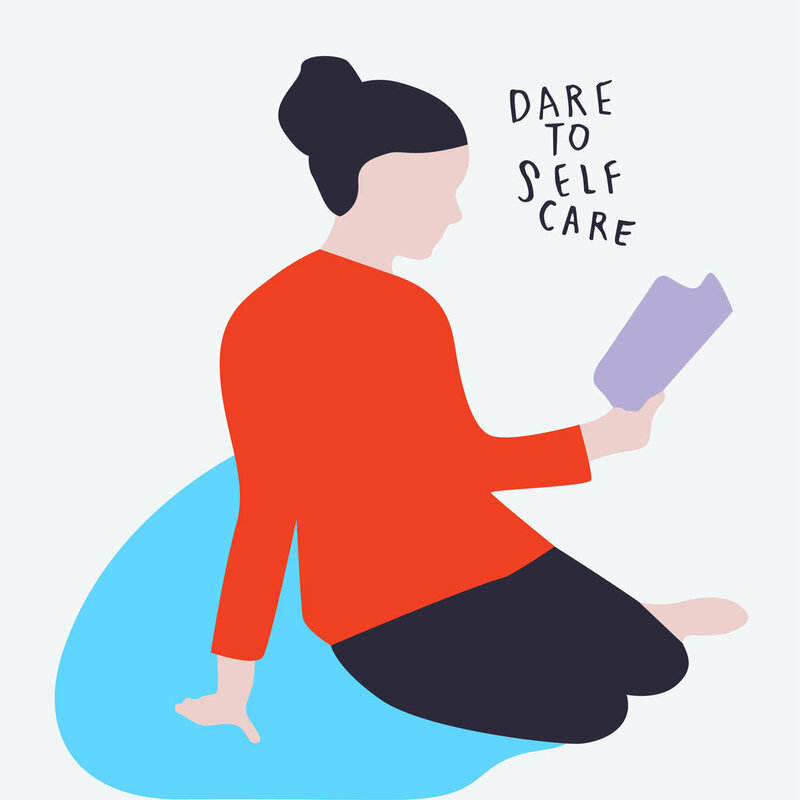 self care comes in MANY forms as we have learned from our friends at Hello My Tribe and it can range from something as simple as taking a time out, a social media break, buying a plant or grabbing a coffee with a friend. it can mean investing in your mental or physical well being, and it can mean saying "no" to things that are not serving you, to make more room for what does. 1. record an Instagram-friendly video of yourself (try to keep to 15 seconds max) stating your first name, where you live and how old your kiddos are. OR IF YOU'RE REALLY CAMERA SHY, you can also email us the responses in the written form. 3. email your video to pompomsocial@gmail.com (you can also text it to karin at 971.284.9067) by 6 PM PST on Sunday, May 13 (extended deadline for all the stragglers :)). as part of your submission, please include your full name and address in the email or text along with your Instagram handle so we can tag you. we will be posting a series of the videos via our Instagram Stories throughout Mother's Day and into next week so make sure to follow along. Please feel free to post your own video on your own account too to spread the message wider! check below for this amazing list. we are blown away by the generosity of all our pom pom social friends who have donated to this important call to action! please help support their business where you can!